Today, almost any camera except those found on smartphones and tablets is a digital camera. The basic models of these cameras are compact and usually easily portable. They operate with a couple of rechargeable batteries. Such cameras meet the needs of amateurs who are just beginning to try their hand at photography. On the other hand, professionals can also get the best out of digital cameras. They can opt for those that come with high aperture lens, tripod, memory cards and other exciting features. The image sensor used in a digital camera is either CCD or CMOS type. A CMOS sensor consumes less power than a CCD sensor. The biggest advantage of using a digital camera is that the captured shot is immediately visible on the screen compared to film-based cameras. 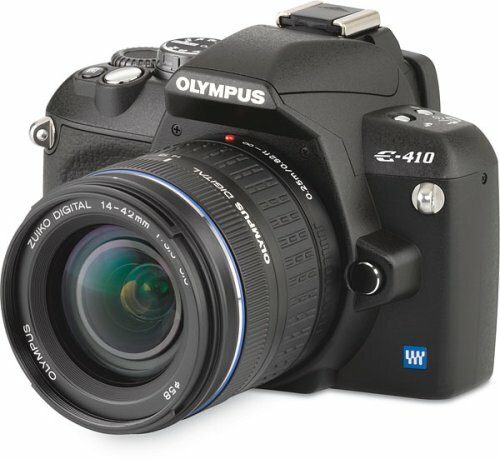 The following is a list of some of the best digital cameras that you can look into if you plan to own one. The Canon digital camera encompasses a 3.0” big LCD screen with 461,000 dots screen resolution. This huge resolution supports easy viewing with even wide angles. The screen also features built-in flash and an optical image stabilizer with 4x digital zoom, 50x optical zoom and 200x combined digital zoom. 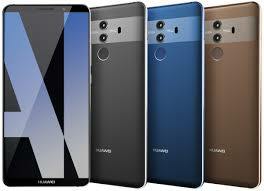 The camera comprises a 16 MP high sensitivity CMOS sensor that renders state of the art imaging and a DIGIC 4+ image sensor that supports functions like FHD video recording at 30p, creative shot, hybrid auto, creative shot and smart auto modes and low-light performance. Both the sensors together exhibit noteworthy clarity and sensitivity with vivid details and minimal noise. The digicam has a dedicated button to record 1080p Full HD videos. The zoom framing assist retains composition and focus when you make use of long focal lengths. The black unit supports transfer of the recorded shots and videos to mobile devices through a Wi-Fi connection. 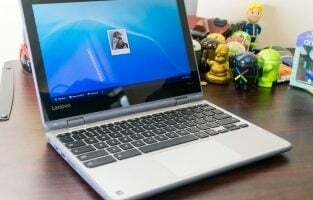 It also allows NFC connectivity for remotely connecting the unit through linked tablets or smartphones. The Canon digital camera comes with a range of bundled accessories like a small flexible gripster tripod, two Transcend memory cards, a three-piece cleaning kit for camera and lens, a hi-speed USB card reader, a clear LCD screen protector, a trifold memory card wallet, a digital camera case and a replaceable lithium-ion battery. The dedicated video recording button makes the Canon digicam ideal for people who enjoy recording videos with their device. A shooter is a good option for those who want to use it for long hours without tiring their hands because of the tripod. 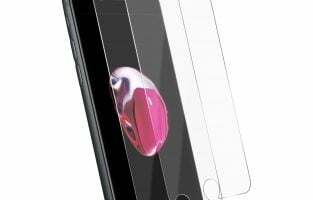 The screen protector ensures that the camera is a good choice for those who are apprehensive of the screen being prone to problems like scratches. The Sony digital camera comes with a 3” LCD screen that has a resolution of 12 million dots and a 20.2 MP, 28 to 100 mm Exmor CMOS Sensor with a maximum resolution of 5472 x 3648p. The device is capable of capturing burst mode VGA shots at about 10 fps, as well as recording 1080p / 60p videos with dual record and manual control and 640 x 480p resolution moving images at 30 fps. It supports an ISO auto flash range of approximately 0.3 m to 1.7 m. The unit also features a customizable front control ring and a rear control dial. The Exmor CMOS sensor supports extremely low light shots while the bright F1.8 Carl zeiss Vario Sonnar T lens incorporates a maximum of 54x digital zoom, 3.6x optical zoom and 194.4x total zoom. The multilayered coating on the lens keeps flaring and ghosting at bay. The snapper supports various modes for videos while capturing photos in JPEG and RAW formats at the same time. Its key functionalities include high-speed autofocus, auto HR mode and portrait framing, face detection, photo creativity, sweep panorama mode, picture effect mode and multi-frame noise reduction mode. The Function button can be customized to perform seven different functions. The Memory Recall mode allows you to store your preferred settings like white balance, zoom magnification, exposure compensation and more into three groups. The Sony digicam sports an ultra-slim design with a classy aluminum body. It comes with a micro USB cable, an NP-BX1 battery, a wrist strap, an instruction manual, a shoulder strap adapter and an AC adapter. The Sony digital camera is apt for people who do not want the shots that they capture to be affected by flaring and ghosting due to light reflection. The manual and auto-focus modes make the digicam ideal for those who want their device to track moving objects. The camera is a good choice for those who want their device to be rugged and appear stylish at the same time. 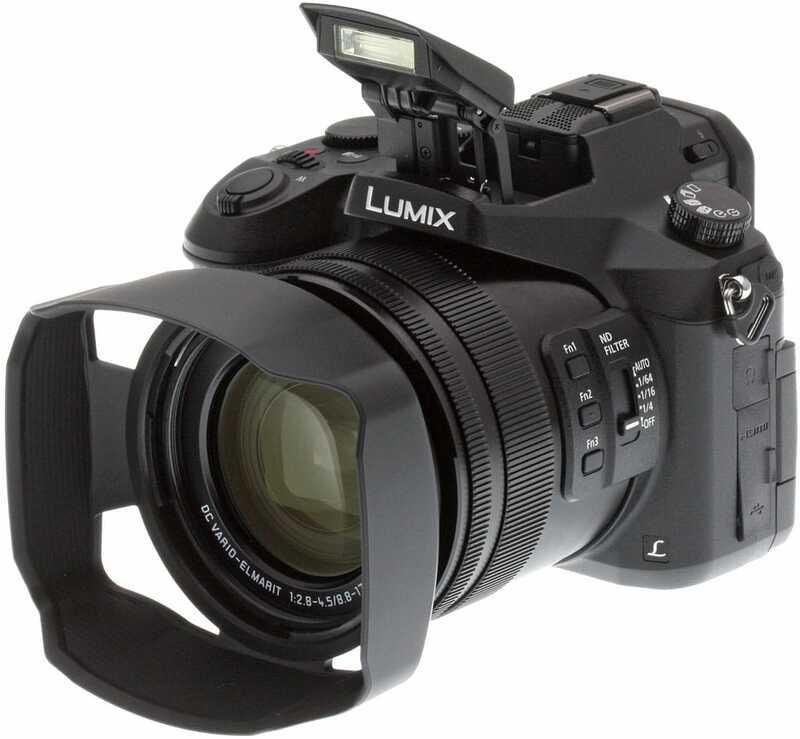 The Panasonic digital camera is equipped with a 3.0” LCD screen with rear touch functionality and comprises 1040 dots resolution, as well as a 1,170K-dot viewfinder that generate clear shots even in bright surroundings. The long zoom digicam also encompasses a 60x optical zoom DC VARIO lens and an 18.1 MP MOS sensor along with 4x digital zoom and 120x intelligent zoom. The point and shoot unit features a power optical image stabilizer that allows you to capture even shots of your favorite objects located far away. The camera also supports 4K QFHD video recording with 3840 x 2160p resolution of a maximum length of 29 minutes and 59 seconds. The 4K Post Focus with internal focus stacking and LUMIX 4K Photo support photo recording in RAW and JPEG formats at a maximum rate of 30 fps and printing photos in high quality. These two features additionally allow you to set the focus points based on your preferences after capturing the photos. The optical image stabilization helps in capturing nightlife and low-light shots with the best results. The shooter also supports multiple white balance and exposure modes. Connectivity options like inbuilt Wi-Fi 802.11 b/g/n, micro USB and USB 2.0 allow you to connect the black Panasonic camera to your smartphone for on the go convenience. It operates with an 895 mAh lithium-ion rechargeable battery pack. The digital camera allows insertion of SD, SDXC and SDHC memory cards. The Panasonic long zoom digital camera is a great option for professional photographers and travelers who wish to capture breathtaking landscapes and far off moments with utmost clarity. The optical image stabilization makes the snapper ideal for night owls who wish to capture nightlife shots and/or shots even when the surrounding light is less. The ergonomic grip ensures that the camera is apt for those who are apprehensive about the camera slipping from their hands. 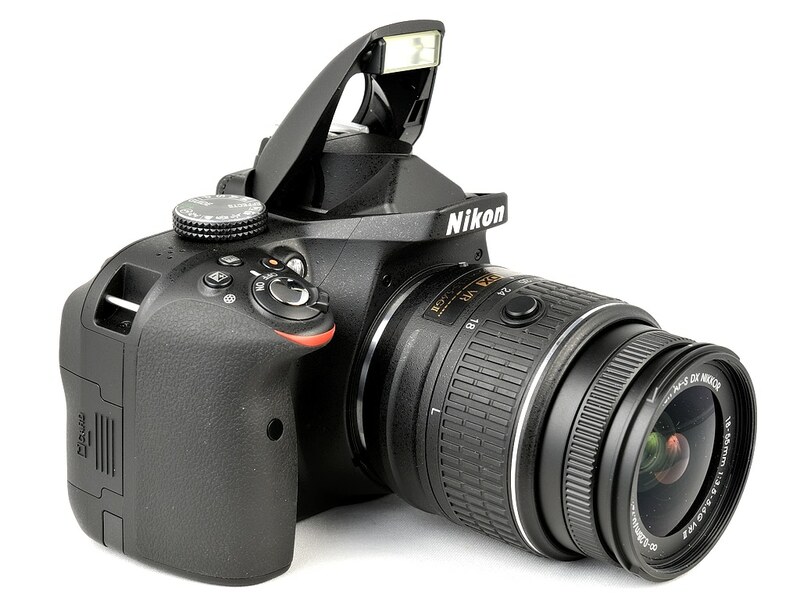 The Nikon digital camera is fitted with a 3.0” dot tilting flip-up LCD screen with 921K dot resolution. The digicam also incorporates an f/3.0 6.5 mm NIKKOR ED glass lens and a 16 MP BSI CMOS low light sensor. It features easy controls and menus, automatic operation and fun creative effects. The camera supports 1080p Full HD video recording with stereo sound. The device also integrates lens-shift and 4-axis hybrid vibration reduction, 80x digital zoom, 40x optical zoom, Easy Auto mode, Smart Portrait System and Super-lapse Movie feature. The Easy Auto mode optimizes the camera settings automatically for each shot. The shooter also supports 18 scene modes to help you enjoy some of the best shots. The Super-lapse Movie feature allows you to record first-person perspectives and transform a normal video into a fast motion thrilling sequence. The unit encompasses built-in Wi-Fi, NFC and Bluetooth Low Energy (BLE) technologies. The BLE technology assists in remote camera control and instant photo sharing. It also supports SD, SDXC and SDHC memory cards, and includes a digital I/O USB terminal, an HDMI video output and a Type D HDMI micro connector output. The Nikon camera is available in two color variants of black and red. The device comes with four AA alkaline batteries, a lens cap, a strap and a USB cable. 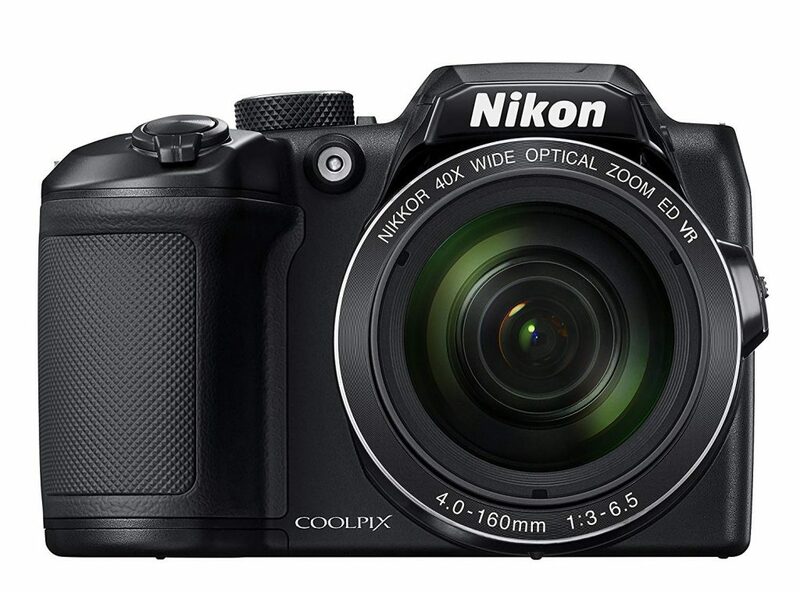 The tilting display makes the Nikon COOLPIX camera definitely worth considering by people who would like to explore shooting their favorite videos in different angles. The 4-Axis hybrid vibration reduction feature makes the camera a good option for those who want to record videos while they are walking or traveling in a vehicle. The snapper is ideal for sports lovers because of its ability to record excellent sports movements that they are sure to cherish later. The Kodak PIXPRO digital camera comes with a 3.0” LCD screen and a 16 MP sensor that allows you to capture images with lifelike clarity. The quality of the images does not get affected when you make modifications like zooming and cropping. The device also encompasses a 24 mm wide open lens so that you can capture the entire landscape and a dedicated one-touch button to record 720p HD videos. The digicam supports 25x optical zoom so that you can capture your favorite action sequence such as life event or adventure at close quarters without having to move close to where the action is taking place. The optical image stabilization functionality makes sure that your low light shots look as great as if they were shot in normal lighting. The shooter incorporates 22 different modes like fish eye, fireworks, panning shot and sport to make your shots memorable. The camera adjusts the movement, light and overall quality of the scene that you plan to capture automatically using a certain mode. You can also make your own adjustments as you take a shot. 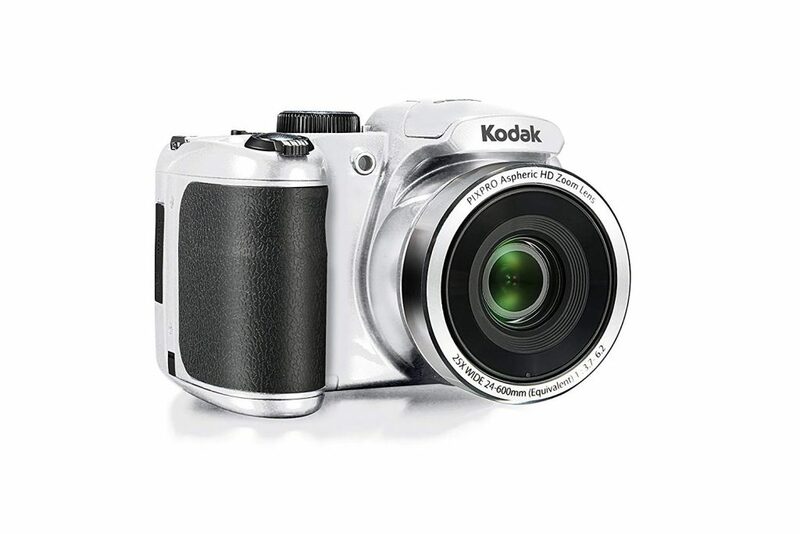 The Kodak camera works with AA batteries that are readily available so that you never miss out on capturing your favorite shots and videos. It is available in two color options of white and red. The wide open lens makes the Kodak PIXPRO camera the right bet for people who are apprehensive of the lens being able to cover the full landscape within the frame. The camera is worth considering by beginners who are skeptical about choosing the right setting to get the best clarity because of the ability of the device to adjust the settings automatically. The device is a good option for those who want to explore different modes to make their shots truly memorable. 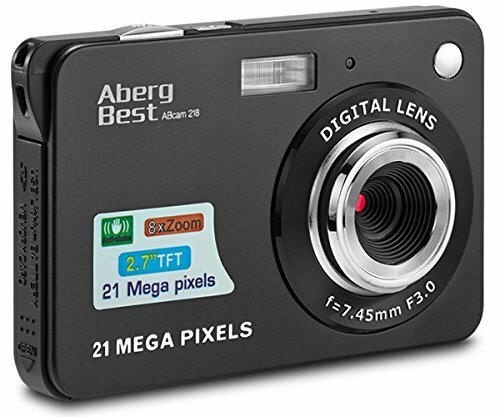 The AbergBest digital camera is fitted with a 2.7” TFT LCD screen that displays photos and videos with high vividness and clarity. The digicam can also perform webcam and playback functionalities. It is capable of capturing digital still images, as well as recording 720p HD videos and voices. The 21 MP resolution sensor ensures the quality of the captured photos and/or videos. The camera supports nine scene modes, force flash and auto flash with red-eye reduction mode and a self-timer that you can activate for a time interval of two, five or ten seconds. It also incorporates 14 settings along with anti-shake, smile capture, face detect and continue shot features. The continue shot feature allows you to capture six VGA shots continuously with a single press of the shutter button. The digicam is also compatible with PhoTags Expression software to help you with various photo-related activities like editing, printing and sharing with your friends through e-mail. 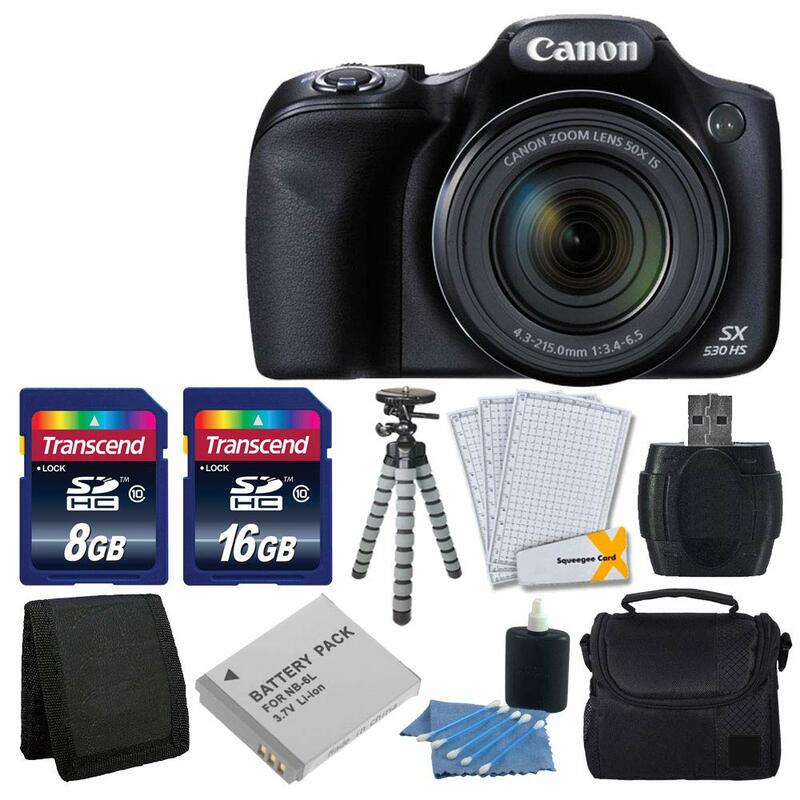 It is capable of accommodating a 64 GB memory card to store your favorite shots and videos. The AbergBest device is available in three color choices of black, silver and red. The camera comes along with a charger, a 550 mAh lithium-ion battery, a user’s instruction manual, a camera bag, a strap, a USB cable, a PhoTags Express software installation CD and a warranty card. The anti-shake feature makes the AbergBest digital camera, without doubt, the right choice for students as it helps to get rid of blurry shots due to accidental shakes when shooting photos. The camera is a great accompaniment for budding filmmakers and others who are interested in music videos, travel documentaries and high-quality HD movies. The slim design ensures that the snapper is worth giving a thought by those who want a device that they can fit into their bag very easily. The YISENCE digital camera comes with a dual screen that comprises a 2.7” TFT full color LCD screen at the rear and a 1.8” full color screen at the front. The digicam is also equipped with a 24 MP resolution sensor, built-in micro USB 2.0 port, flashlight with red-eye reduction, microphone and speaker, a stereo audio system and a slot to insert a TF memory card with a maximum capacity of 32 GB. The underwater device allows recording videos and shooting photos underwater. It is submersible in water up to a maximum depth of 10 feet. The camera records Full HD digital 1920 x 1080p and other resolution videos in AVI format, as well as JPEG still shots in multiple resolutions. 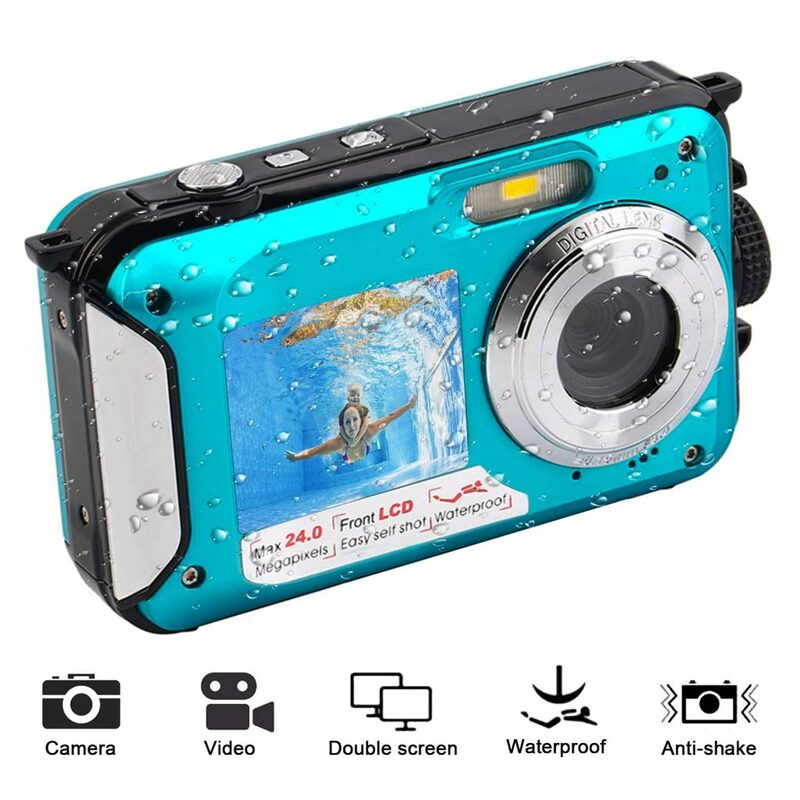 It supports face detection, continuous recording, direct printing, low battery indication, 16x digital zoom, 14MP optical resolution and a self-timer with time delay options of two seconds, five seconds and ten seconds. The device also features five types of white balance settings. The snapper has a black and turquoise blue color combination and is made of ABS. It works with a 550 mAh lithium-ion battery. The YISENCE camera comes along with a lithium-ion battery, a lanyard string, a charger, a pouch, a USB cable, a user manual and a one year warranty period. The inclusion of a secondary screen makes the camera a great option for people who love taking selfies or photos of themselves along with their friends. 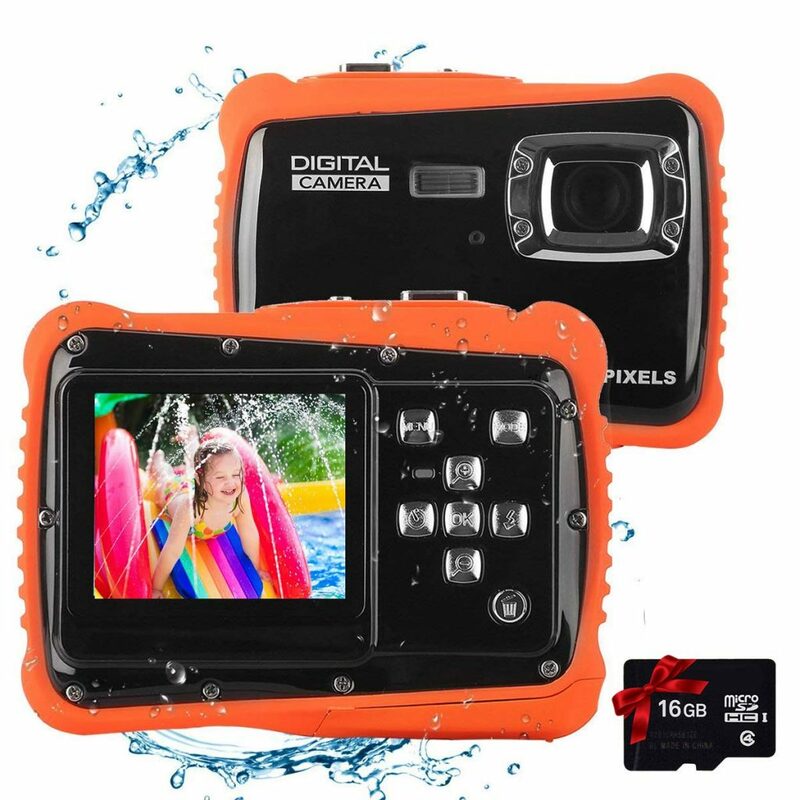 The waterproof property ensures that the device is without any second thought, the ideal choice for lovers of underwater activities who want to capture photos or videos of their favorite pastime. The shooter is a good choice for those who want to slip the camera on their wrist because of the included lanyard. The camera is worth considering by those looking for a rugged device that is lightweight and compact at the same time. 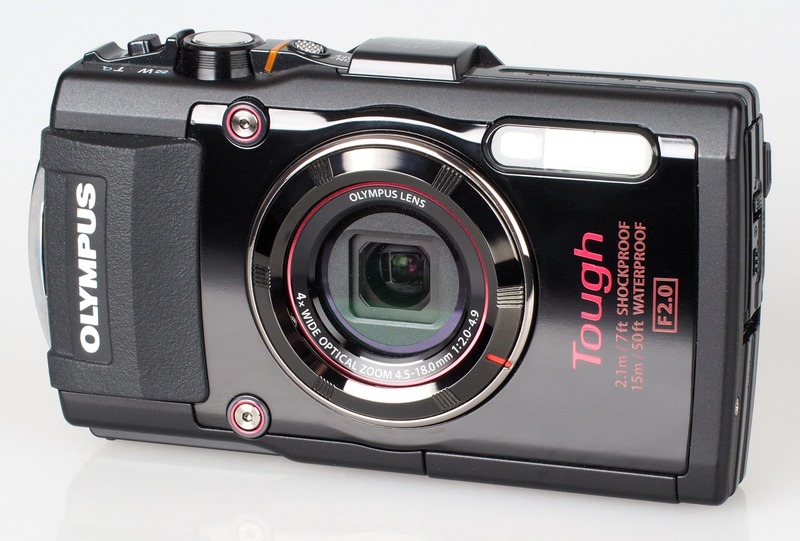 The Tesha digital camera has a 2.0” TFT LCD screen with a 5 MP CMOS sensor. The digicam comes with the capability of recording 720p HD videos for 25 minutes or 480p for VGA movies. It can also shoot about fifty 12 MP photos with flash. The camera features a tripod hole and can be easily carried from one place to another. The device supports 8x digital zoom, self-timer with time delay options of two, five and ten seconds, flash and maximum 32 GB micro SD card. The compact and easy to hold orange colored shooter has a trendy design. It is also dust-proof, fall resistant and waterproof up to a depth of a maximum of three meters. The digicam comes with a user cable, an user manual, a 16 GB TF memory card and a lanyard along with a one year refund and replacement warranty and satisfactory customer service. The Tesha digital camera works with two 1.5 V AAA alkaline batteries. The Tesha digital camera is without any reason for doubt a great option for parents to gift their children if they want them to learn the art of photography. The inclusion of the tripod hold makes the camera a good choice for children who want to mount their device on their skateboard or bicycle. The high configuration ensures that the digicam is apt for kids who want no compromise to the clarity of the interesting moments that they capture. 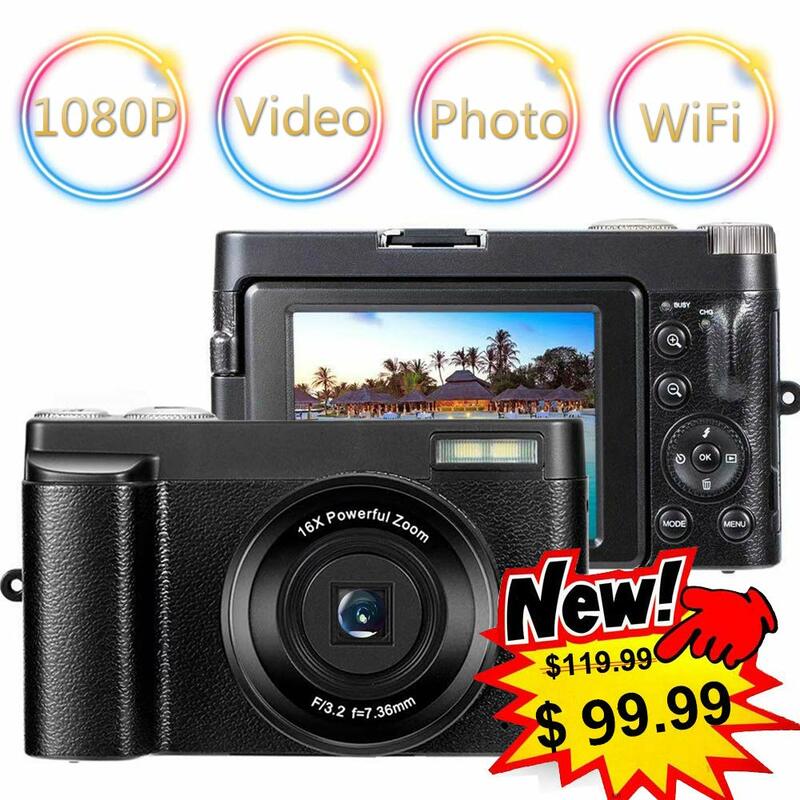 The SUNLEA digital camera comes with a 3.0” full frame view screen that is capable of rotating at an angle of 180 degrees. The digicam supports capturing images and videos in multiple resolutions in JPEG and MOV formats respectively. The snapper supports LED fill light and 16x digital zoom so that you can zoom a photo or video either inwards or outwards when it is in use. The device also features exposure control, a self-timer with four-time delay options, auto and forced flash modes with red-eye prevention and five white balance modes. The camera encompasses built-in Wi-Fi connectivity, which allows you to control the shooter using your tablet or smartphone. It additionally incorporates a mini USB 2.0 slot, an HDMI slot and a memory card slot that supports an SD with maximum 128 GB memory so that you do not have to delete your old favorite stuff to make way for new photos and/or videos. The black colored lightweight and portable snapper feature an exquisite look that makes it appear classy. It works with a high-capacity lithium ion battery that has a life span of 90 minutes for taking videos and 150 minutes for taking photos. The flip capability of the screen makes the SUNLEA camera suitable for people who are interested in Vlogging. The red-eye prevention ensures that the camera is a good choice for those who are sceptical about using flash because it may cause the areas surrounding the eyes to appear red in the captured shot. The digicam is worth giving a thought by those who want to record various life events such as birthday parties, weddings, sports events and more. The Olympus Evolt digital camera comprises a 2.5” HyperCrystal Live View underwater housing protected LCD screen with a 10 MP CMOS sensor and a Zuiko lens with 3x ED Glass zoom lens cover. The Four-Thirds Standard compatible camera renders enough quality for taking prints of 18 x 24” photos. It integrates dust-free technology to produce spot-free photos and a TruePic III processing chip that produces superior image quality irrespective of the lighting. The shooter encompasses multiple manual control options for you to experience and customize creativity the way you would like to. The device also features 30 shooting modes like candlelight, digital image stabilization, beach and snow fireworks and night scene with different settings for a range of shooting situations. It additionally includes an xD Panorama mode and special color modes for you to try out various black and white filters. The unit works with various data storage options such as xD picture cards, micro-drives and Compact-flash Type I & II cards. The lightweight black colored digicam has a compact, ergonomic and classic pentamirror design. 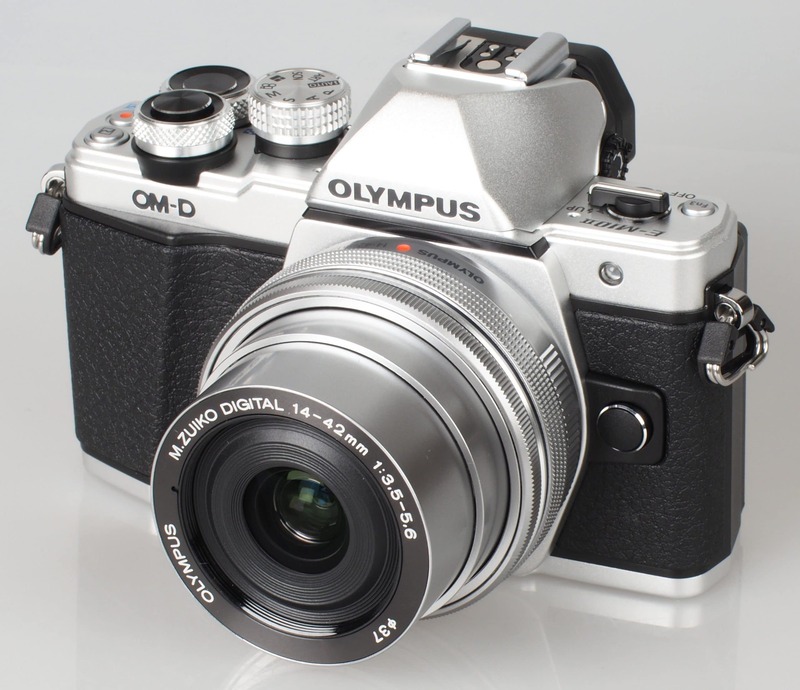 The Olympus Evolt camera comes along with a high power rechargeable battery. The five lens ports, flat housing and underwater case make the Olympus Evolt digital camera apt for adventurous photographers who enjoy taking underwater shots. The dust reduction system along with the supersonic wave filter ensure that the camera is ideal for those who want spot-free photographs and avoid spending hours retouching the captured pictures for clarity. The camera is a good choice for those who want to explore capturing shots from various angles because of the wide angle support. 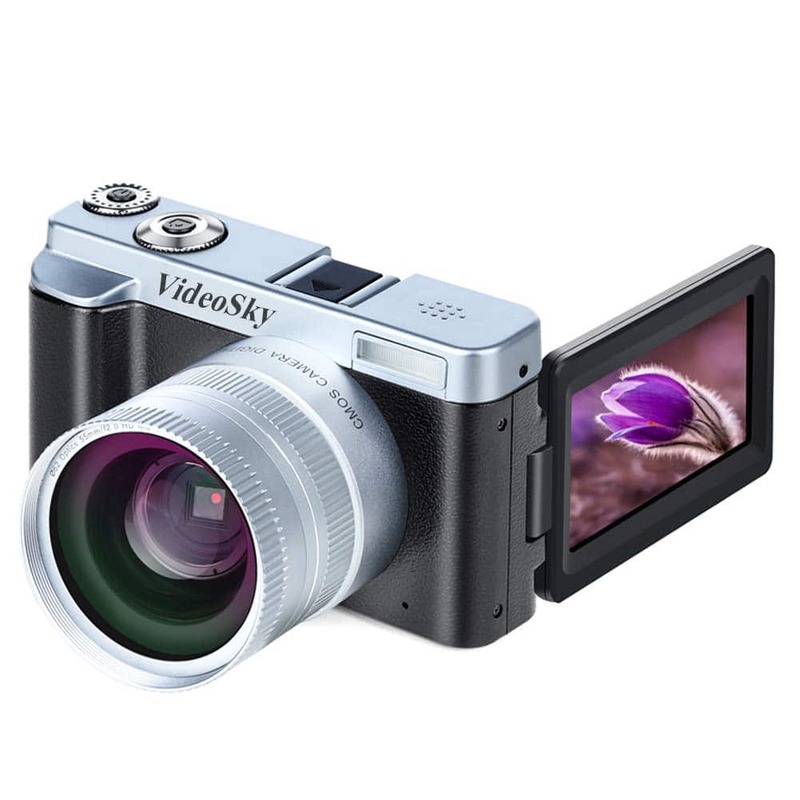 The VideoSky digital camera supports a 3.0” IPS flip screen with 180 degrees rotation and a 24 MP sensor. The Vlogging digicam also incorporates a detachable 1.35x wide angle lens fitted with a macro lens for better clarity. The wide-angle lens works best for capturing wide scenes while the macro lens helps in effectively shooting tiny objects. The device records videos and shoots photos in different resolutions in MP4 and JPEG formats respectively. The snapper integrates Wi-Fi connection functionality so that you can view, capture or download your shots from a remote location. The 16x digital zoom allows you to enlarge the pictures and videos for better viewing. It comprises a hot shoe interface to attach an external microphone or a LED video light and an SD card slot to insert an SD card with a maximum capacity of 128 GB. The unit also supports many other interesting features like self-timer, beauty face, continue shot, anti-shake, smile capture, face detection and webcam. The auto power off function turns off the camera automatically to save the battery when the device is not in use for a preset time of three, five or ten minutes. The battery has a maximum life of 90 minutes for videos and 150 minutes for photos. The tripod compatible VideoSky shooter comes along with a user manual, two rechargeable 1,300 mAh batteries, an adapter, a cleaning cloth, a strap, a camera bag, an HDMI cable and a USB cable. The macro lens makes the VideoSky camera a great option for people who wish to capture small objects with maximum clarity. The tripod compatibility makes the shooter ideal for those who do not want to always hold the device in their hands when taking photos and/or videos. The webcam support ensures that the digital camera is ideal for people who would like to use it for tasks such as video calling and live streaming. 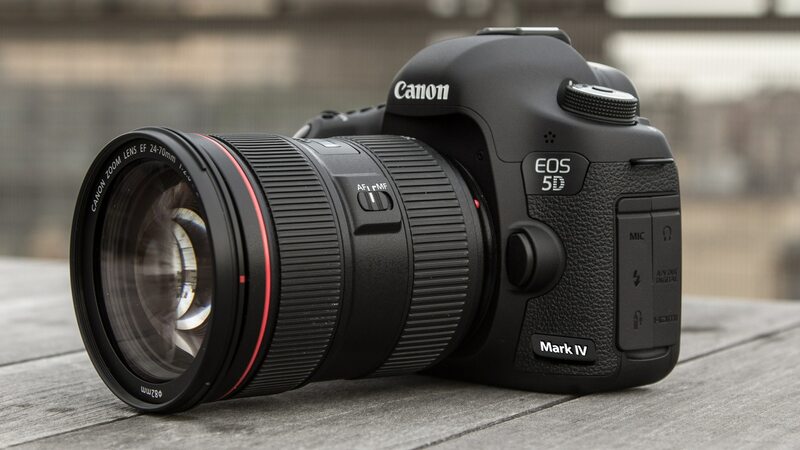 Canon is one of the leading digital camera manufacturers that uses the latest technology and advanced techniques to bring cameras that are a dream for photographers. The Mark IV features unparalleled performance thanks to a new 30.4 MP full-frame CMOS sensor which ensures stunning results. It also features up to 7.0 frames per second continuous shooting and a 61-point AF system. It also gives you the ability to record 4K videos at 30p or 24p. With Canon’s flagship lens series – EF 24-105mm f/4 L IS II USM lens fitted in this DSLR, expert photographers will enjoy taking pictures with this brilliant camera. To keep things smooth, it has a 3.2-inch touchscreen and helps you take flawless pictures. Gone are the days when we needed a simplistic point and shoot camera while traveling. If that is all we need then a smartphone would suffice. Travelers need something more powerful yet easy to handle. They need a digital camera that crosses between exceptional features and a user-friendly interface. 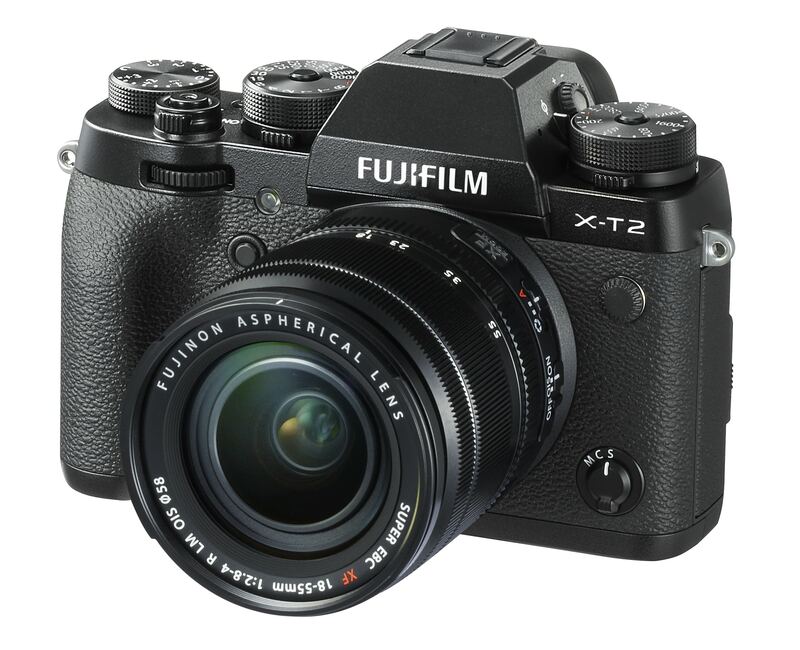 The X-T2 offers both of these making it a great camera to carry during your travels. The 24.3MP X-Trans CMOS III APS-C sensor is powerful and provides high-quality images. The autofocus is quick which means moving objects can be captured with a lot more ease. It will help you produce crisp images of high resolution and make travel memories beautiful. This is a bridge camera that houses a large one-inch CMOS sensor which makes the picture quality very close to that of the average DSLR. It makes a concession on the zoom range to accommodate the sensor. The average photographer may find this to be a prudent decision since the extreme zoom isn’t used most of the times. 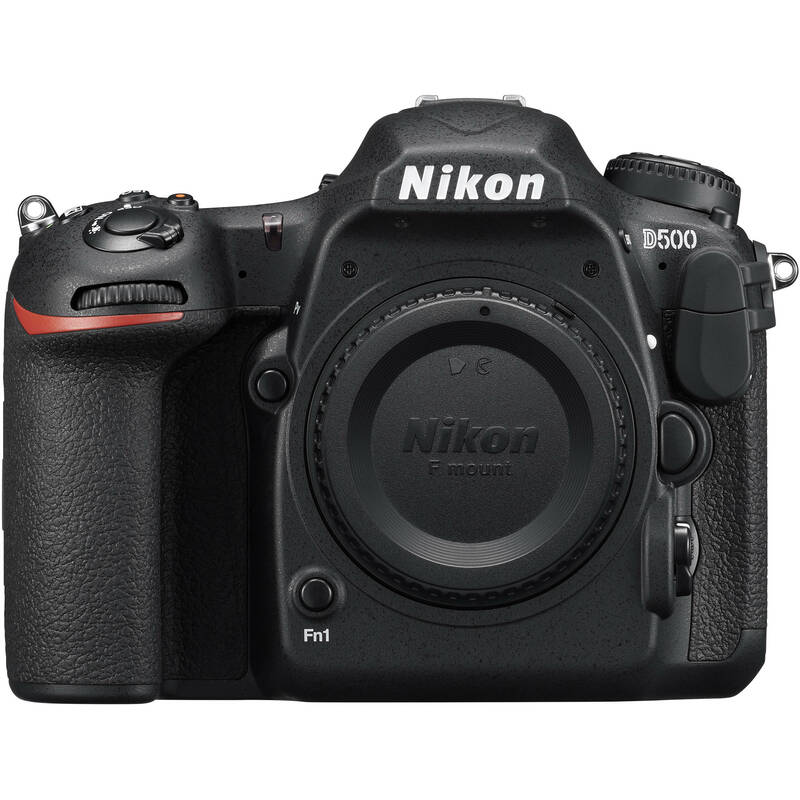 It offers manual and semi-manual controls and it can shoot RAW files as well as 4K video. It is good for anyone who is at the intermediate level of photography. Some professional photographers may also find this to be better in terms of price and image quality. Rugged cameras are great for adventurers. This is a tough camera that can capture some great pictures. It will work even under a depth of 50 feet making it perfect for the poolside as well as snorkeling trips. The camera is built to be dustproof and crushproof which makes it good for outdoor shooting. The camera can even survive frigid conditions making it freezeproof too. While adventurers will find it perfect, families with kids will also enjoy using this camera because sudden drops will not create problems. Even if you accidentally drop it in the pool you do not have to worry about it. The TG-4 comes with a 16MP BSI CMOS sensor and it allows you to capture images in RAW format. The TruePic VII Image Processor helps in capturing sharp images and the built-in Wi-Fi makes sure that you can share the images you capture easily with connected devices. If you are looking for something slightly more compact than a DSLR then the Sony Alpha 6000 is a decent pick. It features a 24MP APS-C sensor along with a snappy autofocus with 179 AF points and 11FPS. 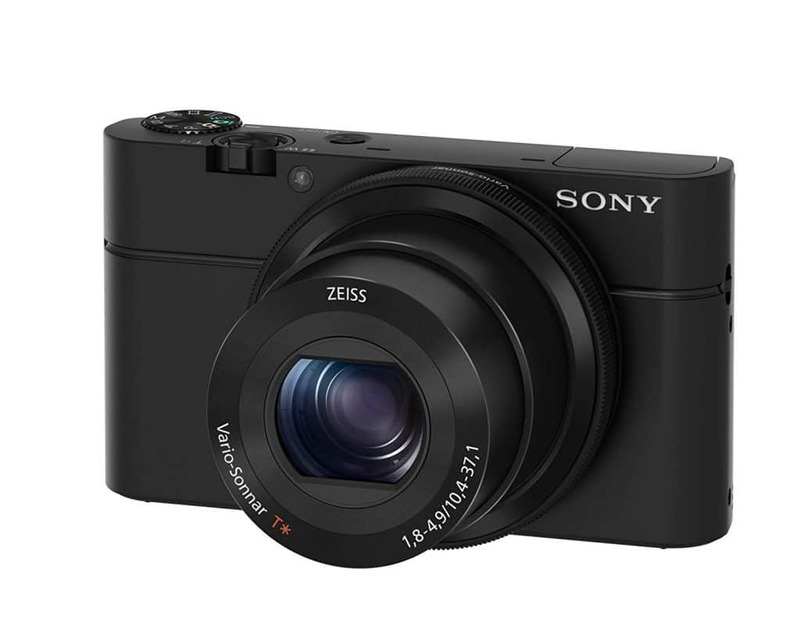 You will enjoy capturing action photos and moving objects effortlessly with this mirrorless camera. It records full HD videos and has an ISO range of 100-25600 to take crisp images even in low light. Everything about this brilliant camera is perfect. 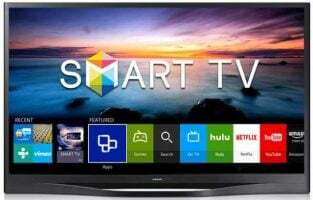 It has great features and the specifications are of the highest range. Amateurs, as well as experts, will find this camera to be a great device. The magnesium alloy body of the camera houses a powerful telephoto zoom AF-S DX NIKKOR 18-300 mm f/3.5-6.3G ED VR lens which can take cinematic 4K UHD videos. With a sensitivity range of ISO 100-51, 200 the camera captures images with perfection. It features a 3.2-inch tilt touchscreen which allows you to share your pictures almost instantly using Wi-Fi or Bluetooth. This DSLR can shoot at 10fps which makes it speedy enough and it features a 153 point AF arrangement that ensures that autofocus is as good as it can get. This is what makes this digital camera perfect for capturing anything in action. Whether it is sports, wildlife or other types of action photography, the Nikon D500 will never let you down. It is certainly one of the best digital cameras for action. The E-M 10 II lives up to the expectations created by its predecessor. The 5-axis image stabilization system and the 2.3 million dot OLED EVF provides for enhanced images. 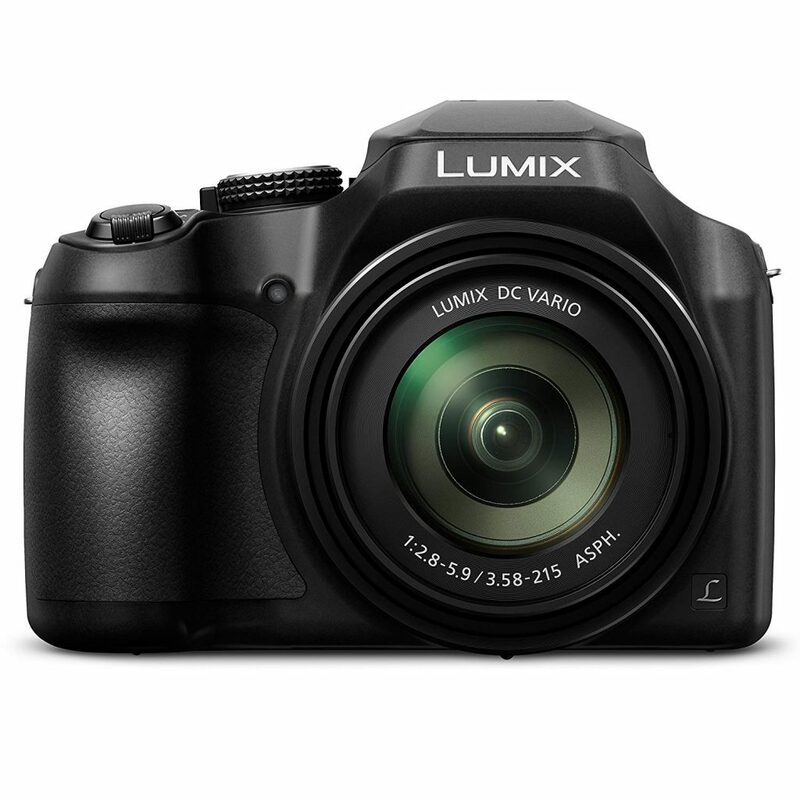 It is compact, but the camera is powerful enough when it comes to image quality and performance. It has an 8.5 fps shooting speed which makes the camera good for the average photographer. 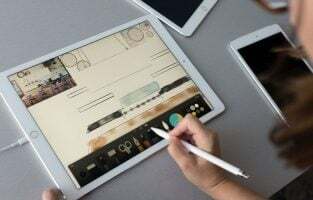 It may not provide features apt for a professional photographer but it does provide adequate specifications to ensure that amateurs can enjoy a user-friendly interface. The D3300 is value for money. The 24.2 APS-C CMOS sensor allows you to capture the details in a picture with ease. The Nikon F Mount (DX) lens gives you clear pictures and it has an easy interface with a Guide Mode to help beginners enjoy photography without feeling intimidated by the features. It is a good entry-level DSLR for first-time users and it goes easy on your wallet too. This is a mirrorless camera with a 42.4 MP full frame CMOS sensor. The A7R II has the highest resolution in the A7 series and it is a lot lighter and less bulky than other cameras of the same type. The high-resolution EVF and 5-axis image stabilization features which are built into the camera body result in perfect image captures. It is perfect for shooting videos and capturing images without losing out on sharpness or vibrancy. 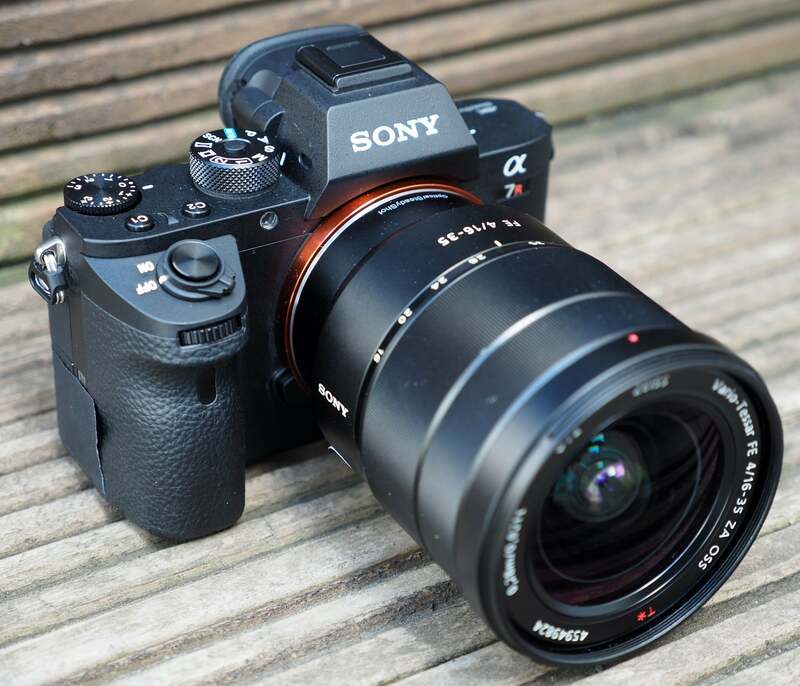 The A7R II is built for professionals who are experts in handling its features, but amateurs with a curious mind will be able to explore a lot in it too. 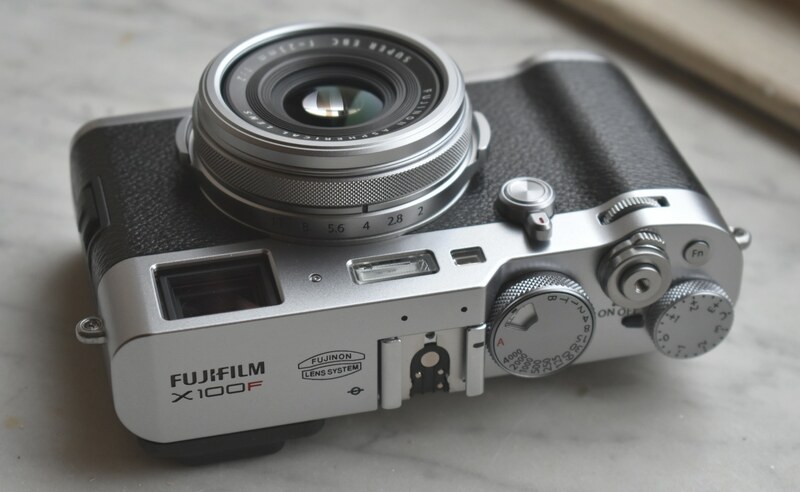 With the Fujifilm X100F, you will not have to compensate for quality for a smaller size. This digital camera is compact yet powerful. 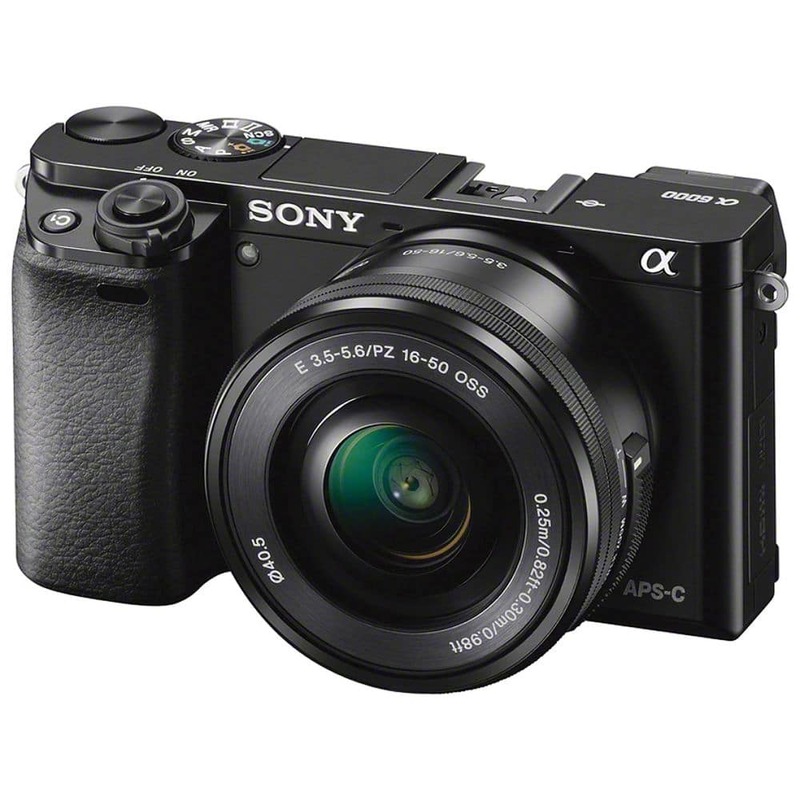 It aims at capturing perfect images with its 24.3 MP X-Trans CMOS III APS-C sensor. The camera has some great inbuilt features which make photography a joy. This retro-styled camera with great looks and absolutely brilliant features is meant as an add-on for professional photographers. It has great picture quality and the videos come out cool too but for the features it has, some may find it a bit pricey. A digital camera is undoubtedly the pride and one of the most valuable assets of any photographer. With many manufacturers offering a range of these devices, you are definitely bound to be spoilt for choices. One of the most important aspects that you must look into when you plan to own a digicam is its digital memory. This is because all photos and videos recorded are stored in the digital memory. Hence, if you are a professional, you might want to consider investing in a camera with a decent memory. Needless to say, the lens of the camera is another important factor that must be looked into. Canon, Olympus and Nikon are some popular manufacturers that have plenty of options for you to take your pick based on the requirement. Just bear in mind that the price of a digital camera increases according to the features it has to offer.